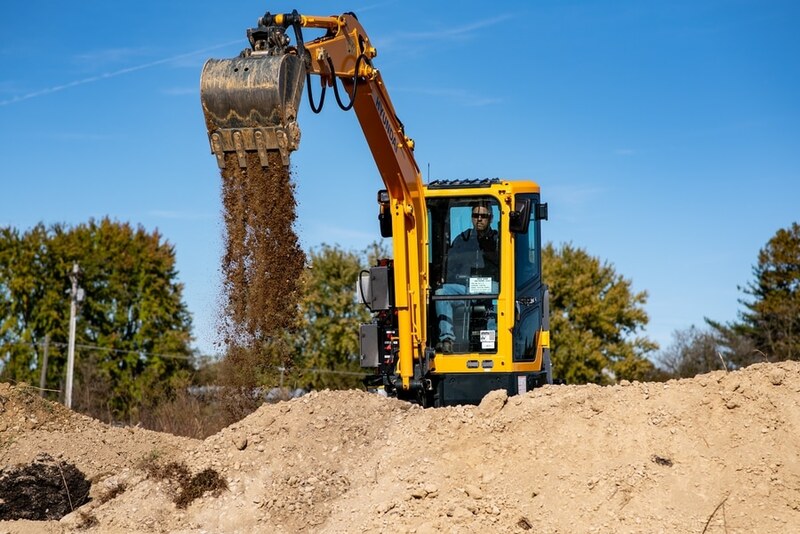 Hyundai Construction Equipment and Cummins have announced that they are working together to develop electrified heavy equipment, and the two companies are showing off the early fruits of their labor in a battery-powered excavator. The mini excavator, currently unnamed as it is intended strictly for testing, is powered by eight flexible battery modules created by Cummins. These BM4.4E modules are strung together to provide 35 kWh of total energy. With a three-hour charge, the companies say, the excavator can work an eight-hour shift, doing so quietly and without any emissions. 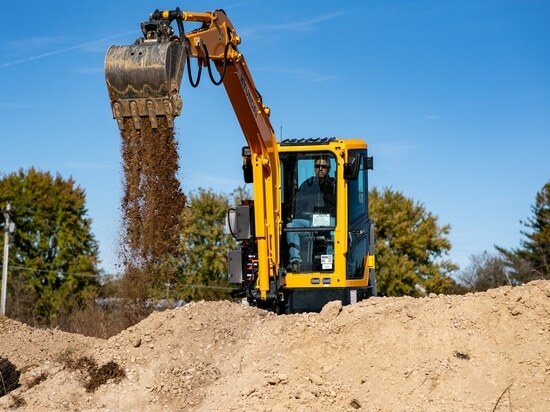 The batteries are mounted in the base of the excavator and have a modular design which allows the system to be “built up and aligned to the duty cycle of the excavator,” according to a press release. Determined to not be left behind by the electrification of vehicles, the announcement of this electric excavator follows Cummins’ announcing details behind he development of a fully electric powertrain and the company’s unveiling of an electric semi truck concept.